Video from Hockey Night in Barrie! (courtesy of Runstar Media) - Very Barrie Colts | A website covering the Barrie Colts of the OHL. 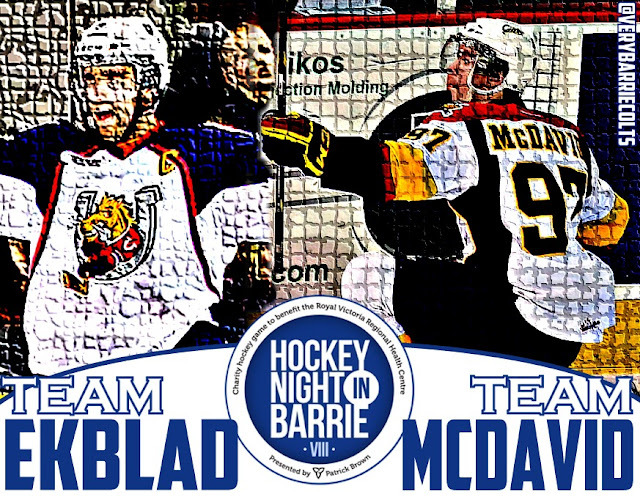 Did you miss Hockey Night in Barrie? Well, luckily for you our friends at Runstar Media didn't miss a moment of it! Like last year, they were on ice during the game to get all the shots up close and personal. You can't even get this kind of view if you are sitting on the glass! Here is the video and be sure to follow Runstar Media on Twitter and follow them on YouTube!